By his own admission Aussie David Cooper is no Boomer. If anything, the 0800 Easy LPG Hawks' latest signing is a late bloomer. Not that it disappoints the Queenslander that he has not represented his country in the international arena. ``It's not so much a disappointment. I suppose I just wasn't good enough to be one,' Cooper told SportToday as a matter of fact yesterday after arriving in Napier overnight. It's not that the 32-year-old lacked the passion or desire to aspire towards slipping on a green-and-gold singlet. He suffered growing pains, frustratingly not shooting up fast enough to make the measurements required to make the cut in the national age-group teams, let alone reach the dizzying heights of basketball. ``At 17, in high school, I was only 6ft 2 (1.88m) but I shot up to 6ft 7 (2.01m) when I went to university before breaking into the Australian [National Basketball] League at the age of around 24,' said Cooper, who has business management and commerce degrees from Queensland University. The 2.02m forward/centre is a perfect match for American import John ``JT' Thomas in height. Coach Shawn Dennis sent Thomas packing a fortnight ago on the heels of three successive losses amid claims he was not a team player. The Hawks came up short again to defending champions Waikato Pistons in Hamilton last Saturday in their National Basketball League campaign, albeit following a spirited performance. 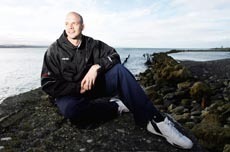 While Cooper hadn't trained with the Hawks at the time of the interview yesterday, the former Palmerston North Jets (2003-05) and NBL MVP player had no qualms about fitting into the culture or identifying the middle ground, which Thomas could not find with Dennis, to establish a team rapport. He is indubitably a journeyman, having done his apprenticeship predominantly in ANBL for the Brisbane Bullets, Cairns Taipans, Victoria Giants and Adelaide 36ers. The turbulence in the ANBL has put his life in perspective. While he was anticipating life after professional basketball, the suddenness of the transition brought about by the instability in the league across the ditch caught him by surprise. ``I knew it [retirement] was coming but it's still a shock ... it's out of my hands because I can't prepare for it or retire. It's not a pleasant situation,' he said, sceptical about media reports of an abbreviated ANBL season. 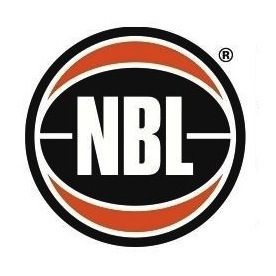 Talks in Australia of having the ANBL moved from July to a December start, he felt, was likely to have an impact on the NBL here but he didn't think a merger between the two leagues was a possibility. It was more likely to be a second New Zealand franchise joining the New Zealand Breakers in a 6-2 split in an eight-member ANBL. Playing alongside fellow Adelaide 36ers and former Hawk Paora Winitana in the ANBL last season, Cooper had a fair idea of what to expect in the NBL here. Having played against the Hawks as a Jets player, Cooper is well versed in what Winitana and his former Hawks co-captain, Paul Henare, can do on the court. He is mindful they are equally aware of his prowess so tomorrow night's match against NBL newcomers Christchurch Cougars at the Pettigrew-Green Arena, in Taradale, will be exciting. Henare and Winitana, pending fitness after a broken ring finger, have indicated their desire to play their first match back home in Cougar colours after amicably leaving the Hawks this season. The previous Hawks franchise was caught up in the financial doldrums amid fears of a hiatus this season before an impassioned plea from stalwarts and fans got them back on track. A new-look Hawks, with just Everard Bartlett from the Bay in the starting five mix, are slowly building a rapport with the basketball faithful. Australian-born ex-Tall Black and current Hawks centre/forward Miles Pearce also shed some light on the team when he attended Cooper's wedding last month. ``I know we're [Hawks] a young and deep team and no guy's scoring 20 points each game,' Cooper said after a brief meeting with Dennis. A defensive player, Cooper considered himself a rebound specialist. ``We're leaking too many points. My mentality is that I get most enjoyment blocking and stopping. He felt a young Hawks outfit needed to develop every aspect of their game compared with the Pistons who benefited from older heads such as Pero Cameron and Adam Ballinger who offered a different team dynamics. What effect Cooper will have on the Hawks' fortune will be put to the test tomorrow night. The Cougars won't be short of passion or support with Henare and Winitana in their ranks.